Dussehra Festival Celebrated throughout India in a grand manner specially in Tamilnadu. People apart from Religion celebrate the thanksgiving for their work on the festive day of Ayudha Pooja. As always Special Motor field gets a good respect by the owners and crews. 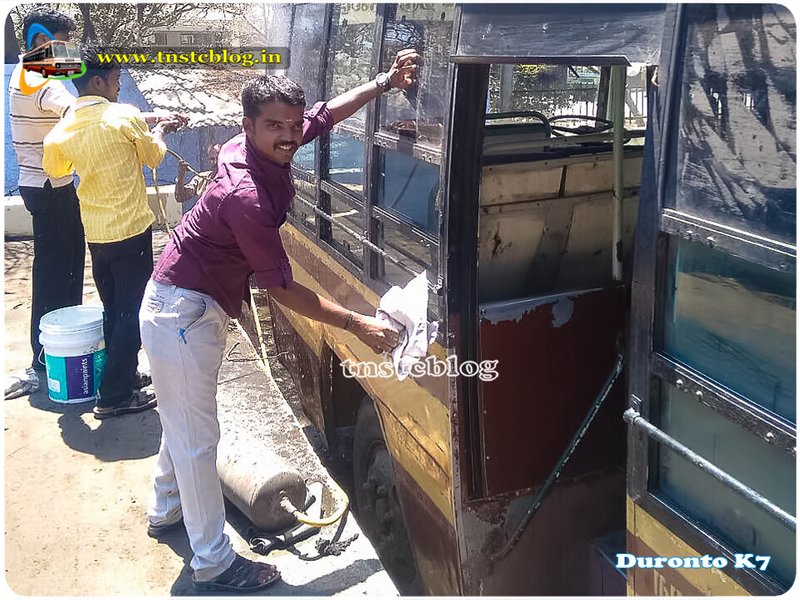 In TNSTC many crews decorate their buses on this special Occasion. 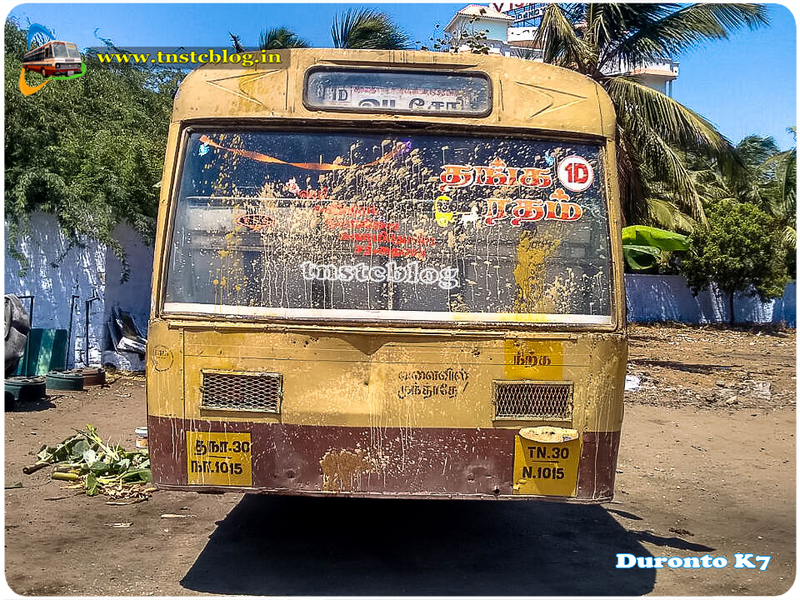 Its interesting to see a group of young chaps in Kanyakumari celebrate the Ayudha Pooja in a grand manner as a thanks giving to their beloved city route bus 1D of Kanyakumari Depot. 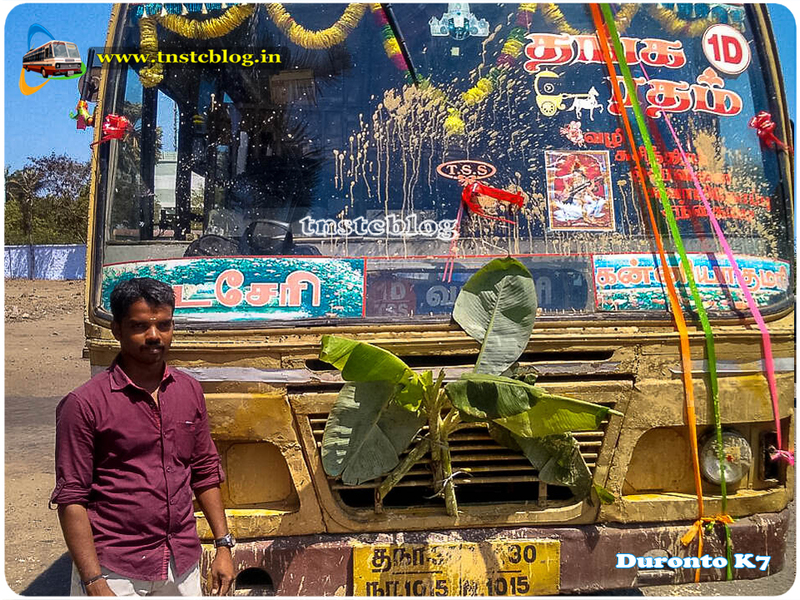 Kesavan, Kathir and his friends celebrate it every year as a thanks giving to their route bus 1D Thanga Ratham Golden Chariot on Kanyakumari – Vadaseri via Swamithoppu, Osaravilai, Suchindram. From their schooling, College and their current day to day life this route is a part of them. 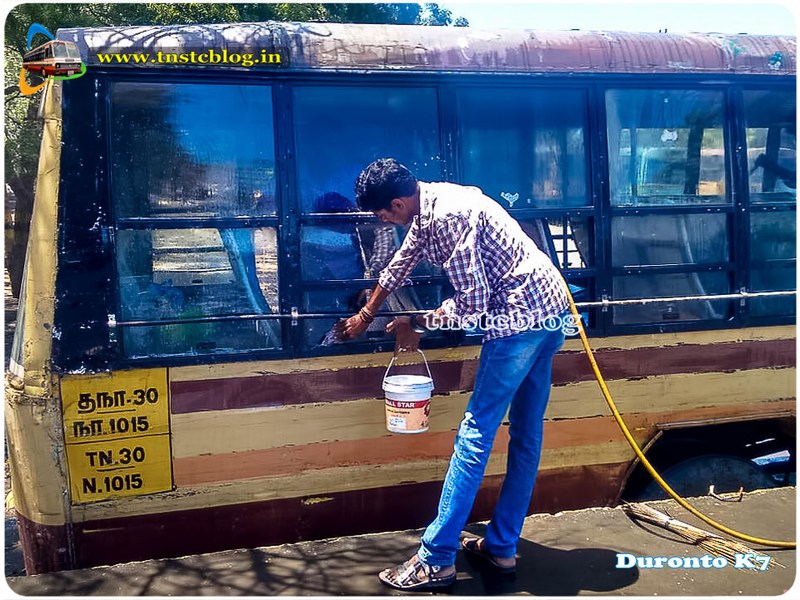 Every year they celebrate this Ayudha Pooja as thanks giving to their life line with prior permission from the depot officials clean the bus and decorate them. 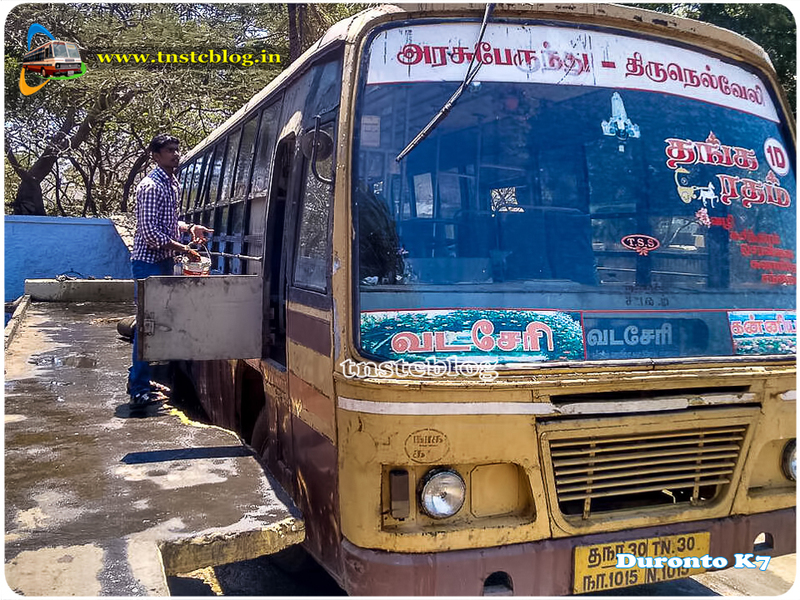 for others the bus is just a piece of metal bodies but to Kesavan, Kathir its like one among their friends. 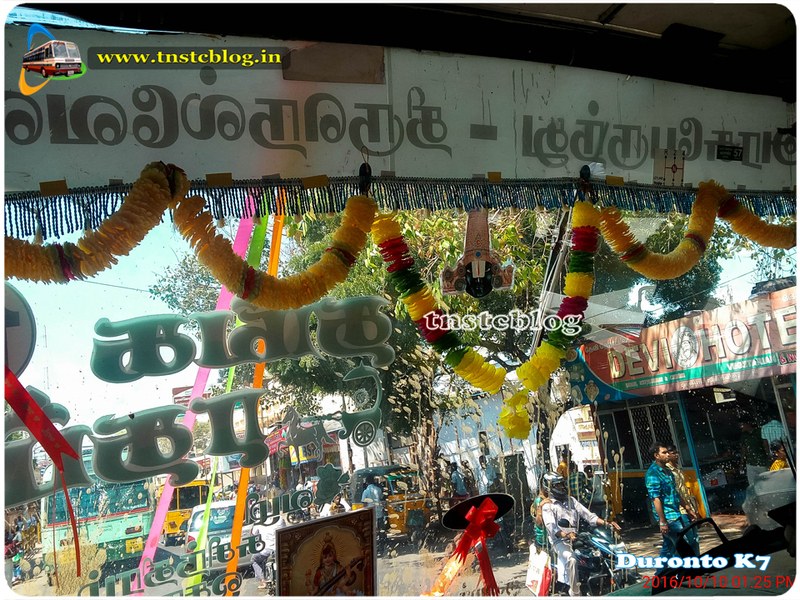 Team TNSTC Blog take privilege to honour Kesavan, Kathir and their friends for a wonderful celebration every year. A big thanks to you buddies. 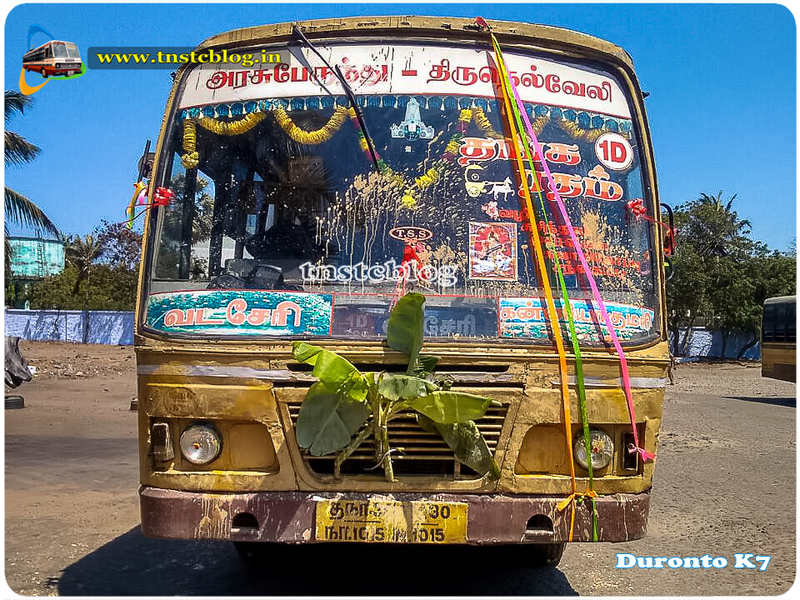 Some pics from Ayudha pooja Festive a thanks giving to TNSTC. Kesavan with 1D Golden Chariot. 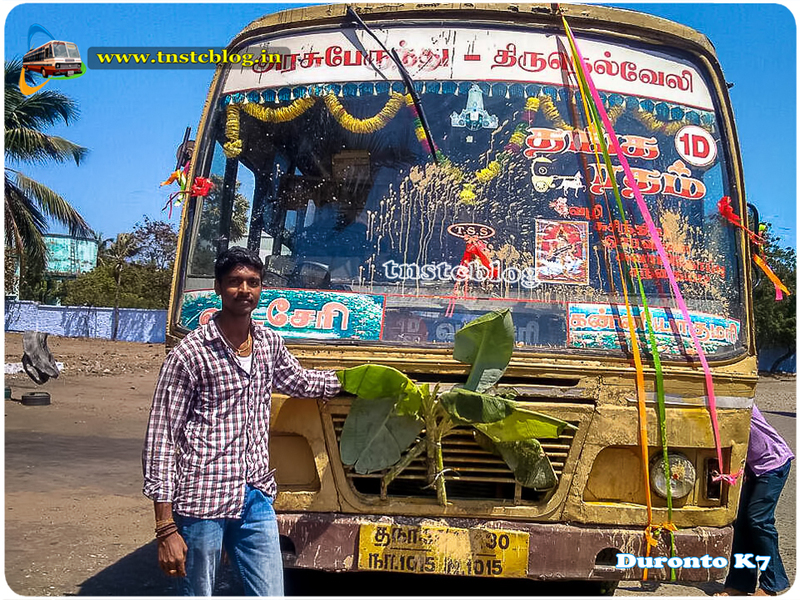 Kathir with 1D Golden Chariot. 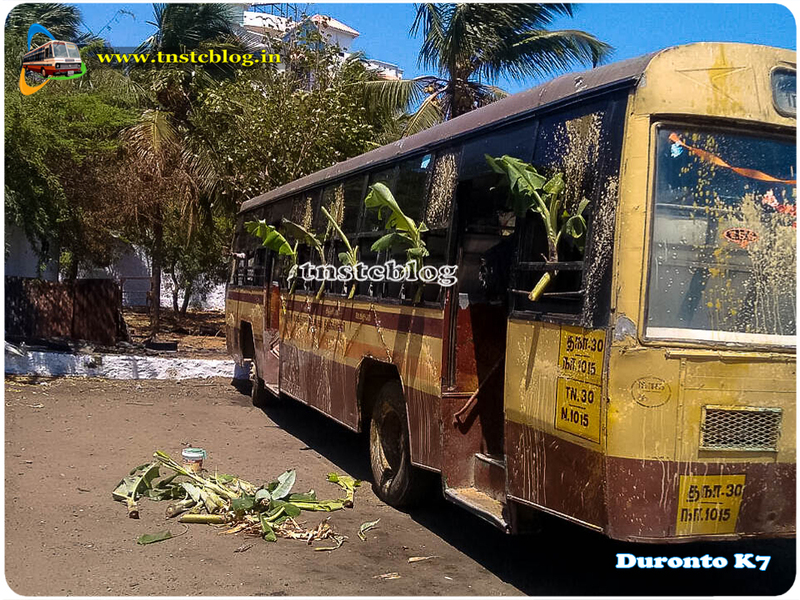 Fully Decorated 1D Golden Chariot.